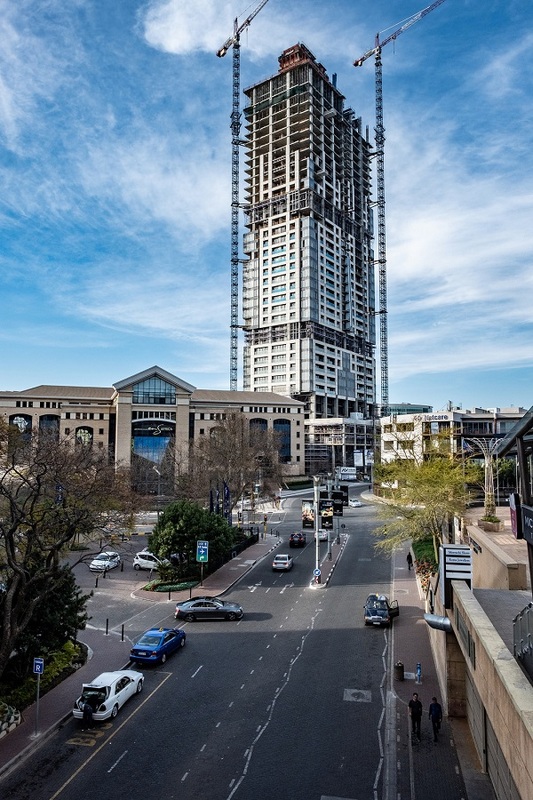 If you’ve been anywhere near Sandton in the past few months, you’ve likely seen its latest building taking shape and rapidly overtaking the surrounding skyscrapers in the area. The building is The Leonardo, a mixed-use development that will offer luxury residential units in the form of apartments and penthouse suites, as well as over 15,000 square metres of premium office space. 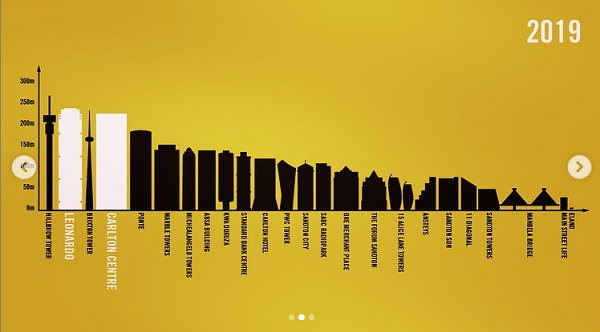 The arrival of the new building sees it taking the title of Johannesburg’s tallest skyscraper, toppling the Carlton Centre's 45-year reign. According to recent reports, The Leonardo is set to reach a height of 227 metres, although the final measure is set to change. 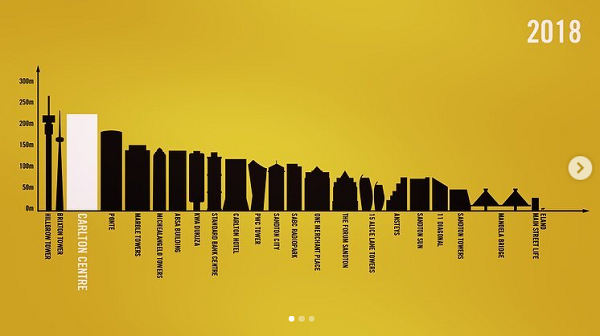 Check out these graphics below by Love Jozi illustrating some of Jozi’s tallest buildings, before and after The Leonardo. All photographs by Skyscraper City.